Enjoy the best inspirational, motivational, positive, funny and famous quotes by Anna Harrison. Use words and picture quotations to push forward and inspire you keep going in life! 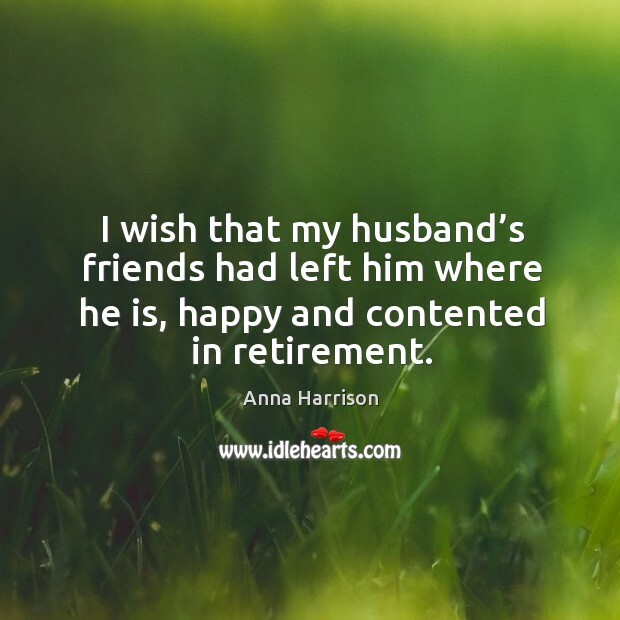 I wish that my husband’s friends had left him where he is, happy and contented in retirement.